I finished the job in two days. Here's a few tips from what I learned. If you use a handheld grinder with a cutting wheel, have a few extra cutting discs on hand. One abrasive disc is good for 15 - 20 cuts. When you order your wrought iron parts, get a couple spare shoes, they might come in handy and are cheap. 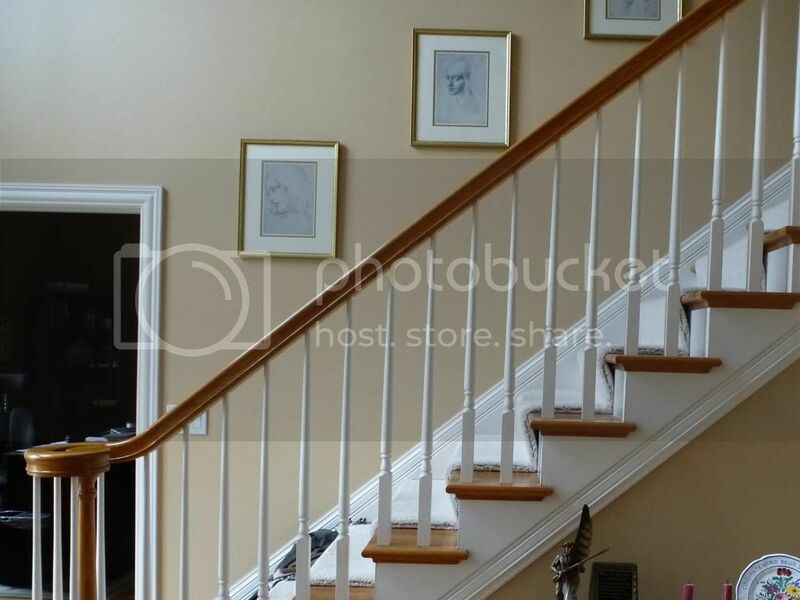 To cut through the old balusters, you can use a tree branch loper with long handles. It reduces the sawdust and cuts through with one stroke. Take your time and let the epoxy set up. If there are any loose balusters afterwards, you can use some epoxy putty (JB Weld) to force into the hole and it will solidify them. I had about three out of 84, so not too many. The easiest epoxy to use for me was the loctite brand that came in two 4 oz squeeze bottles in a pack for $15 at HD. Just be sure when you replace the caps on the proper bottles - one for the activator and one for the resin. One is red, one is white. Otherwise you will glue the cap on. This one kit will glue about 70 spindles top and bottom. When the epoxy is setting, try not to be cutting and removing adjacent spindles as this activity will prevent the epoxy from setting properly. Plan ahead so that after gluing in a bunch, you take a break. Try to do a whole section at a time. The top of my old balusters were pinned with a nail gun. Removing these top halves (bottom halves popped right out) was the hardest part of this job. You need to pull each slowly and rock back and forth. If you get too aggressive you can damage the handrail. Take your time and they will come out. The plus side is that you will find out if you have a weak rotator cuff that evening. Here's the before and after. Oh - before you point it out to me - I did see that the one decorative S in the final photo is facing the wrong way and I corrected it. It is easy to make a mistake, so be careful. Wow! Just wow. Looks wonderful. I didn't notice the backwards scroll. Very mid-century modern! Good job! Looks great!! Although I actually really liked the "mistake" with the S's facing each in rather than all going the same direction. And for others thinking of getting wrought iron think about the finish (and type) of the wrought iron before buying. 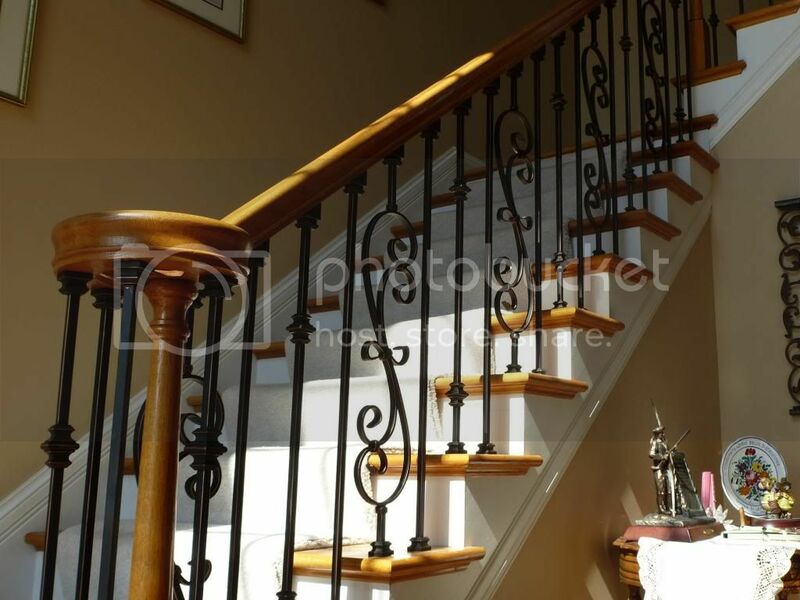 We picked a solid wrought iron that when new looks great and has that authentic old world appearance however it is rougher in texture and is a PITA to keep clean! 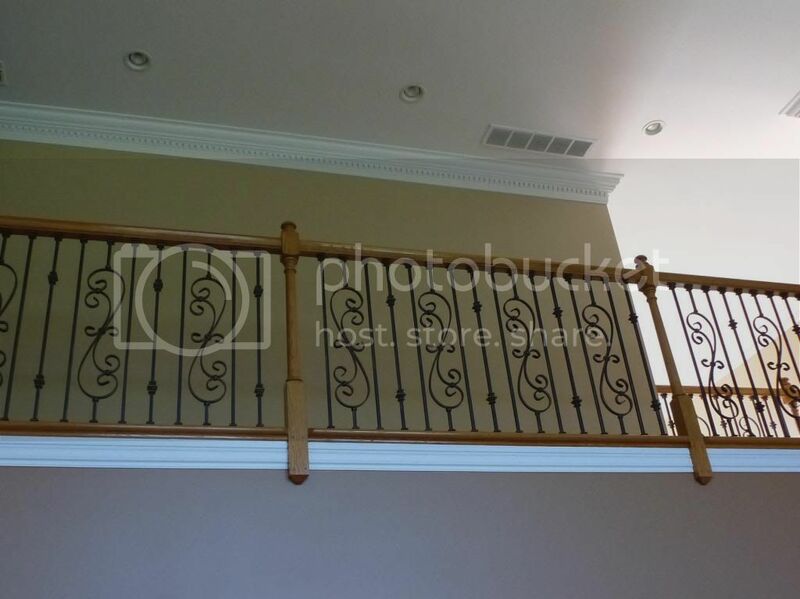 Most of the hollow wrought iron is smoother because it is not forged like the ones we have. Just something to keep in mind for those that are OCD like me! Wow! I LOVE what you've done! Am I understanding correctly, you finished the entire job of removing and replacing 90+ spindles in only TWO days??? Thank you for the very thorough explanations and photos. This is an awesome thread! Yes. It took two full days and could be done faster with a helper. It becomes methodical after awhile. The tree loper cuts through the spindles fast and I did an entire section at a time. Anyone can do this if they take their time. 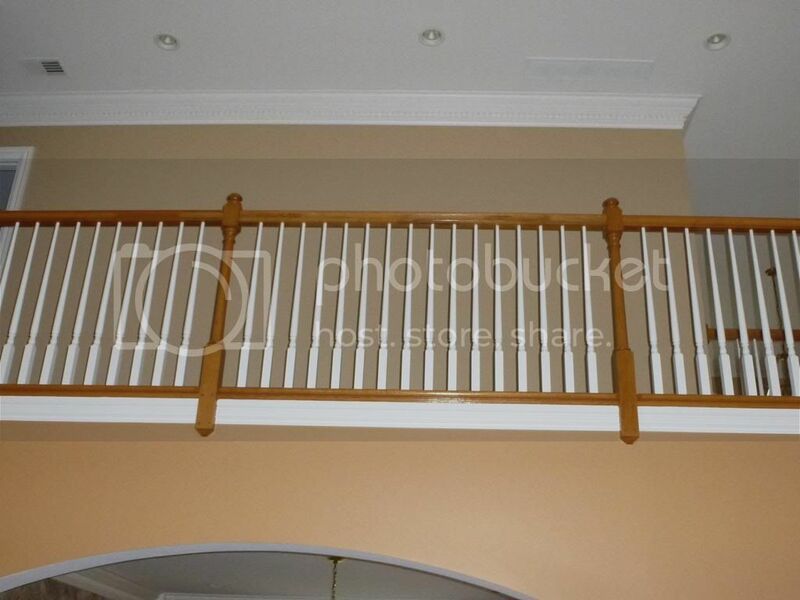 As an aside, I installed balusters for a friend and it required some more work because their handrails had no holes drilled  The old balusters were just pinned, so I had to drill every hole. That took a bit longer. Cool stuff. I was just researching about this, now your post has inspired the DIY option! Thanks. Very detailed and useful info. Did you finish all the 94?. Guess you did. Dint realize there was a page 2.